It is alarming that 95 per cent of Canadians have BPA in their bodies, and research shows that dietary sources of BPA (like canned foods) contribute to significantly to our body burden of BPA. Canadians should not be putting their health risk when they eat canned food. 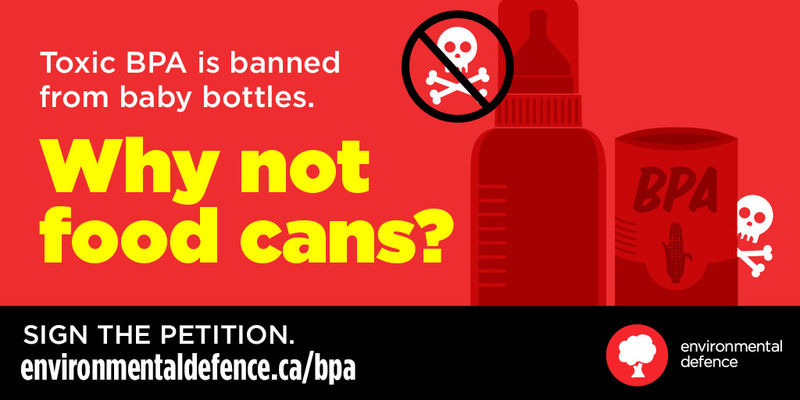 BPA is already banned in baby bottles and sippy cups because it is toxic. Ask the federal government to ban the use of BPA in food can linings by signing this petition.